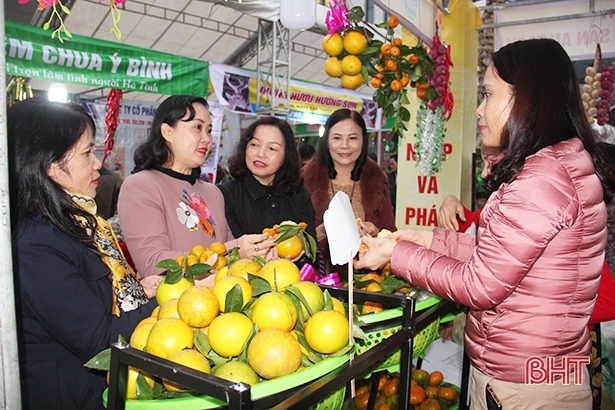 The People’s Committee of Ha Tinh province launched a festival of oranges and agricultural products on December 15 to honor local farm owners and enterprises in the cultivation and consumption of Ha Tinh agricultural products. 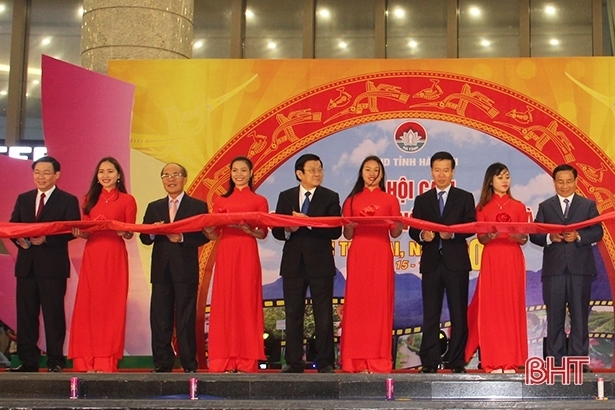 The festival saw the participation of Politburo member and Deputy Prime Minister Vuong Dinh Hue and Politburo member and Head of the Party Central Committee’s Commission for Communication and Education Vo Van Thuong. The event showcases 80 pavilions by 55 enterprises, households and localities in the province. Vice Chairman of Ha Tinh provincial People’s Committee Dang Ngoc Son affirmed that the province has a number of famous agricultural specialties and fruits including Phuc Trach pomelo, Huong Son orange and Khe May orange. He noted that the province has nearly 10,000ha of citrus trees with the majority being orange trees which produce over 60,000 tonnes of oranges per year, providing a high income for locals. The festival was a chance for the province to promote their local agricultural products to consumers in and outside the province in order to boost the consumption of local products and enhance the quality and productivity of Ha Tinh farm produce, contributing to fueling the local economy. The festival will conclude on December 17.